The International Studies program in the College of Arts & Sciences at the University of Kentucky developed three years ago in response to a recognition that the world and its problems are increasingly interrelated. Whether it's religious beliefs; social or political circumstances; environmental, economic or health outcomes; events in one part of the world today affect those elsewhere. New International Studies Program Director Carlos de la Torre is accustomed to creative and interdisciplinary work across colleges and continents. De la Torre comes to UK from his native Ecuador, where he returned in 2003 to direct the creation of a doctoral program in the social sciences at Facultad Latinoamericana de Ciencias Sociales Sede Ecuador (FLACSO). "In Ecuador, I was working with the departments of political studies, anthropology, gender studies and environmental studies…all from a social science perspective," he said. "It's important for students to have these interdisciplinary experiences." Born in Quito, Ecuador, de la Torre earned a bachelor's degree in sociology from the University of Florida, Gainesville in 1983, and a master's (1987) and doctorate (1993) in the same field from the New School for Social Research in New York City. De la Torre is teaching sociology and international studies courses at UK, while also furthering the university's faculty and student relationships internationally. "I hope to build on the success that this program has already experienced with Monica Udvardy's great work," de la Torre said of the fast-growing major. "Every student should go abroad, and I'm happy to see that the provost, the dean of the College of Arts & Sciences and the Office of International Affairs at UK are interested in supporting these efforts." De la Torre's background is as diverse as the group of students and faculty that he will be leading on campus. While still a doctoral candidate he edited "Populism in Ecuador: An Anthology of Texts" (Quito: ILDIS, 1989) and published "The Ambiguous Meanings of Latin American Populisms," staking out one of the research areas for which he is best known. "I began studying the transformational nature of politics in Latin American societies," de la Torre explained. "In comparing South American presidents, like Venezuela's Hugo Chavez, Bolivia's Evo Morales and Ecuadorian president Rafael Correa, it's interesting to look at how these leaders feel they are democratizing their countries, standing up to the U.S. and advocating popular participation, all while continuing to exhibit authoritarian tendencies." De la Torre is a publically engaged intellectual in his native Ecuador, writing a weekly newspaper column in Diario Hoy, one of Quito’s leading newspapers. "We live in a global world," de la Torre said. "And the U.S. is involved in everything everywhere. UK students should have the opportunity to learn and experience what it means to be part of a global world. I want our students to be public intellectuals engaged in what is happening in their societies. I want to make current global events real and comparative." 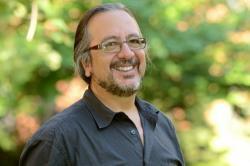 Upon finishing his doctorate, de la Torre was appointed assistant professor of sociology at Drew University, serving as its director of Latin American Studies from 1995 to 2001. De la Torre developed quite a few connections with other institutions across the globe while at Drew, also designing many of its study abroad programs from scratch. It was while teaching a class on race and ethnicity at Drew that de la Torre first delved deeply into racism in Ecuador. "Many people think that racism just isn't there in Latin America," he explained. "But skin color, physical features and last names all provide their own prejudices. It's not black and white; it's more subtle." Important publications on race and ethnicity, which became the second major branch in de la Torre's research, soon followed, among them "Racism in Ecuador: Experiences of the Indian Middle Class" (Quito: CAAP, 1996); “Everyday Forms of Racism in Contemporary Ecuador: The Experiences of Middle-Class Indians,” (1999); “Racism in Education and the Construction of Citizenship in Ecuador,” (2000); and "Afroquiteños: Ciudadanía y Racismo" (CAAP, 2002). He continued his study of racism in Ecuadorian education as a Fulbright New Century Scholar in 2007-08. His latest article on that topic, written with UK anthropology Professor Carmen Martínez, is “Racial Discrimination and Citizenship in Ecuador’s Educational System,” published in Latin American and Caribbean Ethnic Studies, 5, No. 1 (2009). "Because of my study of Latin America and my background in Ecuador, I am comfortable with international comparisons on gender, class, and race within many areas," de la Torre said. "I look forward to working with other faculty at UK on global international issues." In addition to the publications already mentioned, de la Torre has contributed more than 20 chapters to anthologies, written more than 30 articles for referenced and popular journals and co-edited four volumes. De la Torre plans to continue his columns in Ecuador and is just finishing up editing of "Populism of the 21st Century" with Cynthia Arnson.